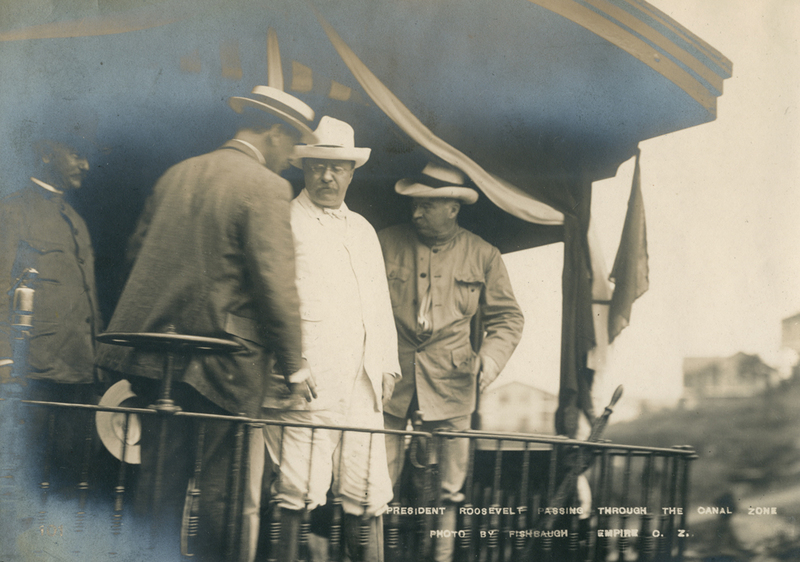 In 1903 the US bullied Colombia into giving up the province that became Panama. The plan was to create a nation to serve the interests of Wall Street. This goes back a long way. The Panamanian state was originally created to function on behalf of the rich and self-seeking of this world – or rather their antecedents in America – when the 20th century was barely born. Panama was created by the United States for purely selfish commercial reasons, right on that historical hinge between the imminent demise of Britain as the great global empire, and the rise of the new American imperium. 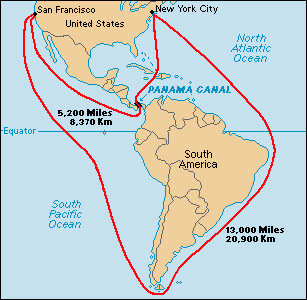 The reason, of course, was to gain access to, and control of, the canal across the Panamanian isthmus that would open in 1914 to connect the world’s two great oceans, and the commerce that sailed them. The Panamanian elite had learned early that their future lay more lucratively in accommodating the far-off rich than in being part of South America. Annuities paid by the Panama Railroad Company sent more into the Colombian exchequer than Panama ever got back from Bogotá, and it is likely that the province would have seceded anyway – had not a treaty been signed in September 1902 for the Americans to construct a canal under terms that, as the country’s leading historian in English, David Bushnell, writes, “accurately reflected the weak bargaining position of the Colombian negotiator”. Colombia was, at the time, riven by what it calls the “thousand-day war” between its Liberal and Historical Conservative parties. 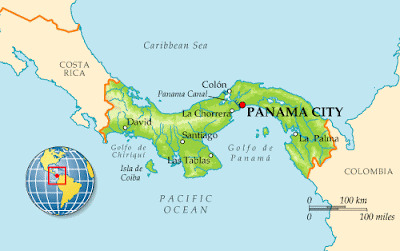 Panama was one of the battlefields for the war’s later stages. The canal treaty was closely followed by the “Panamanian revolution”, which was led by a French promoter of the canal and backed by what Bushnell calls “the evident complicity of the United States” – and was aided by the fact that the terms of the canal treaty forbade Colombian troops from landing to suppress it, lest they disturb the free transit of goods. The Roosevelt/JP Morgan connection in the setting-up of the new state was a direct one. The Americans’ paperwork was done by a Republican party lawyer close to the administration, William Cromwell, who acted as legal counsel for JP Morgan. JP Morgan led the American banks in gradually turning Panama into a financial centre – and a haven for tax evasion and money laundering – as well as a passage for shipping, with which these practices were at first entwined when Panama began to register foreign ships to carry fuel for the Standard Oil company in order for the corporation to avoid US tax liabilities. On the slipstream of Standard Oil’s wheeze, Panama began to develop its labyrinthine system of tax-free incorporation – especially with regard to the shipping registry – with help and guidance from Wall Street, just as the US and Europe plunged into the Great Depression. The register, for example, welcomed US passenger ships happy to serve alcohol during prohibition. In his seminal book on offshore jurisdictions, Treasure Islands, Nicholas Shaxson cites a letter from US treasury secretary Henry Morgenthau protesting to Theodore Roosevelt’s very different namesake, Franklin D Roosevelt, about “conditions so serious that immediate action is called for”. He complains about tax evaders resorting to “all sorts of devices” in places where “taxes are low and corporation laws lax”, citing Panama and the Bahamas. So, by the 1970s, when the US government had tightened its tax evasion loopholes, Panama went into the kind of full service we saw last week. Banking deposits soared, from small beginnings in 1970 to $50bn in 1980, according to the Tax Justice Network. And that was just the beginning, the small change. At the same time, two treaties were signed in 1977: one that gave the US military carte blanche to defend the canal, another agreeing to hand the waterway to Panamanian sovereignty in 1999. In 1983, however, the system backfired slightly: General Manuel Noriega took power. For years, he had been a beneficiary of, and functionary for, the CIA, but he came to realise that Panama’s wealth was even better suited to an alliance with the Medellín narco-trafficking cartel of Pablo Escobar. 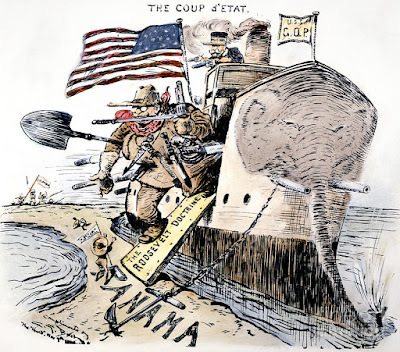 In 1989, therefore, the US returned militarily, as it had eight decades previously, and – as Silverstein puts it – “returned to power the old banking elites, heirs of the JP Morgan legacy”. History has its way of coming ironically around, and it certainly has in the early 21st century on two counts, echoing Panama’s genesis. Then there’s this: among the factors that made it so easy for the 20th century’s new imperium to browbeat Colombia into ceding the Panama canal was the fact that had Panama not got the canal, Nicaragua would have stepped up. Now, a century later, Nicaragua is about to get one too, paid for and controlled by the power that would fain step into America’s imperial boots – China.